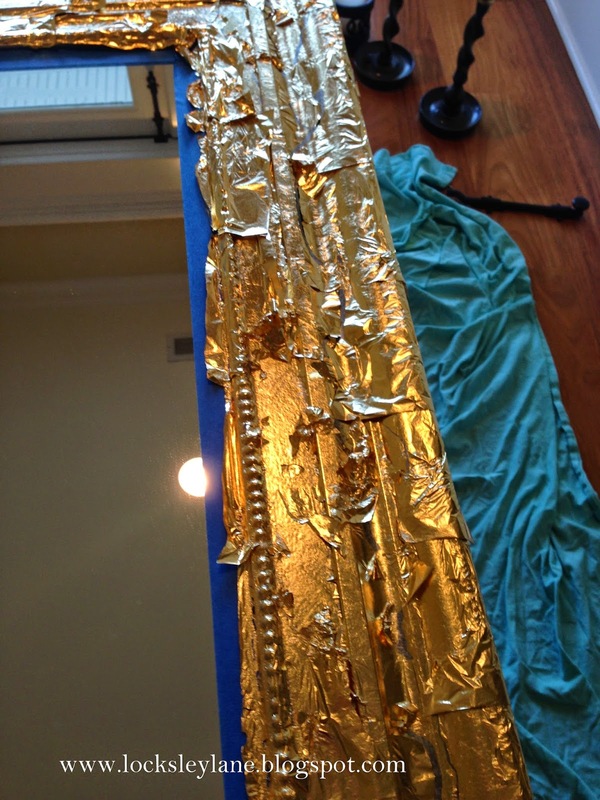 You can gold leaf just about anything....it doesn't have to be furniture. 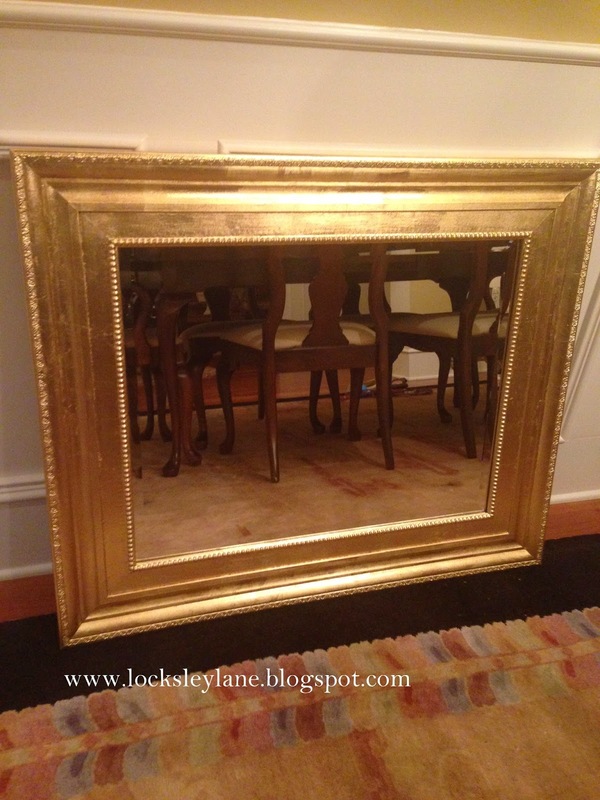 A friend of mine had a large silver mirror that worked in her old home, but not in her new home. No sense spending money on new things when you can change what you have. 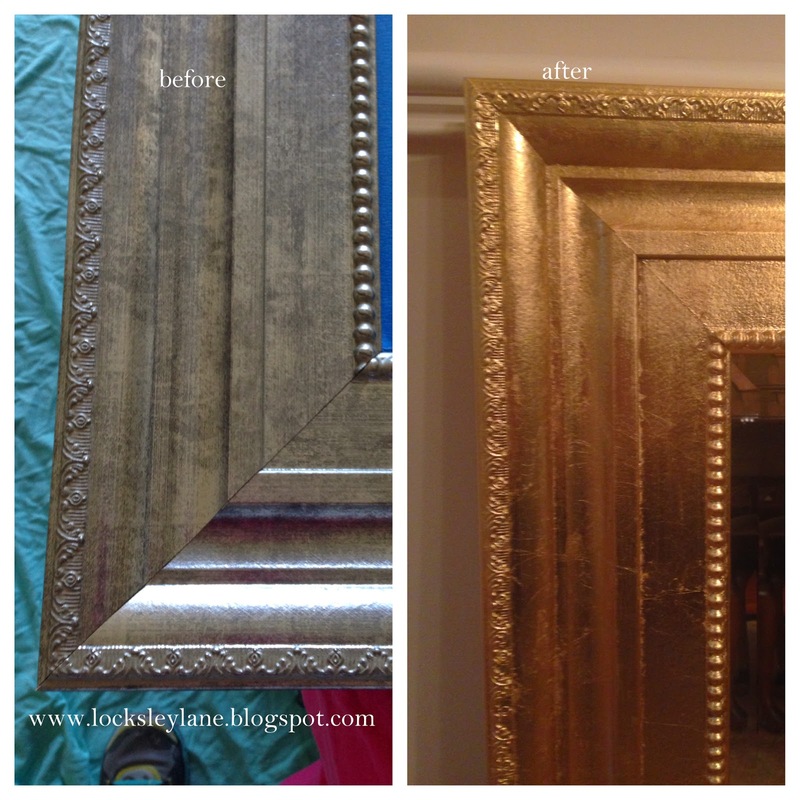 She wanted to gold leaf this baby and what a great choice. 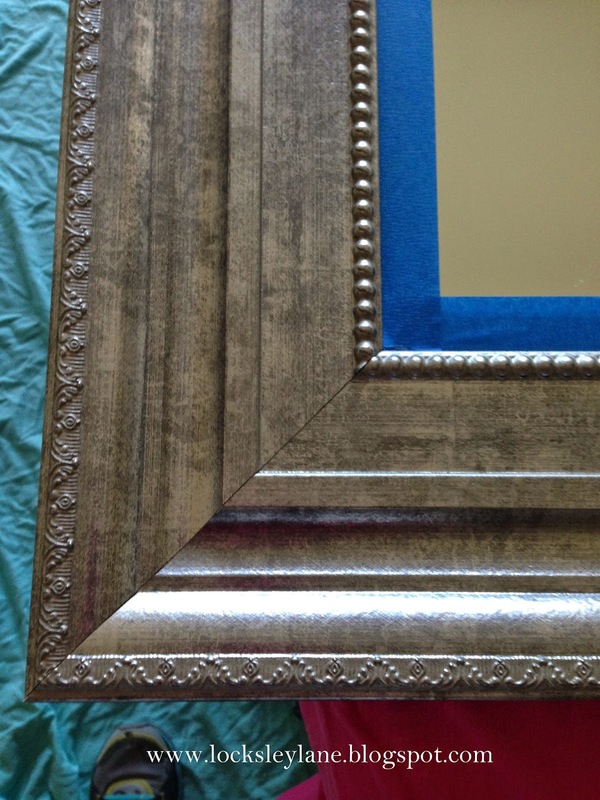 To get started, prep your mirror and tape off any area that you don't want the medium to get on. 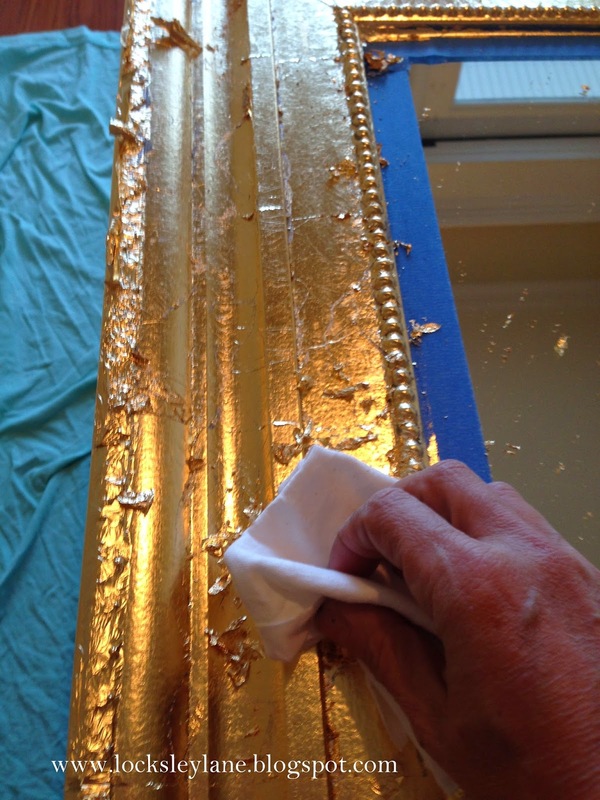 With a soft cloth, gently begin to rub the gold leaf into your project. What comes in contact with the medium will stick and what doesn't will fall away. You should gently "pat" the areas that are creviced and decorative so the leafing will get into the cracks. You can pick up little pieces that fall to the floor and place them back onto your piece where the leafing may not have taken. Once you are done, seal the piece with a clear polycrylic. This mirror turned out just beautiful. The detail really pops with the leafing and you get an old world feel to your piece. You can't get this look with spray paint. It's not quite as bright as it looks...it's sitting right under a light :) I wanted you to see all of the creases and detail with the leafing. The mirror went from cold to warm in an afternoon. Here is the before and after. I just love it! How about you? 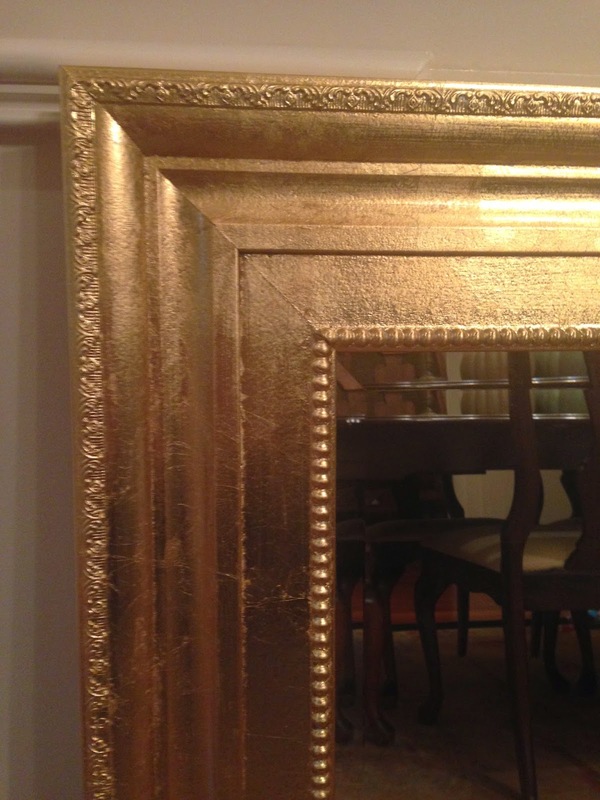 Do you have an old mirror that needs an update?